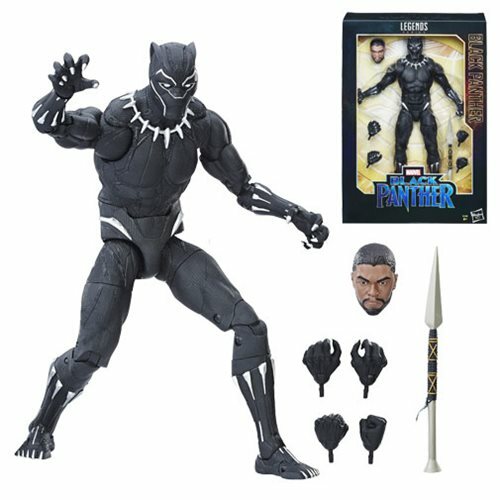 Imagine joining in on the legendary Marvel action with this awe-inspiring 12-inch Black Panther figure from the Marvel Legends Series. Featuring 30-plus points of articulation, character-inspired accessories, and premium, detailed styling, this Legends figure is an epic addition to any Super Hero and Super Villain collection. Includes figure, alternate head and alternate set of hands. Ages 4 and up.